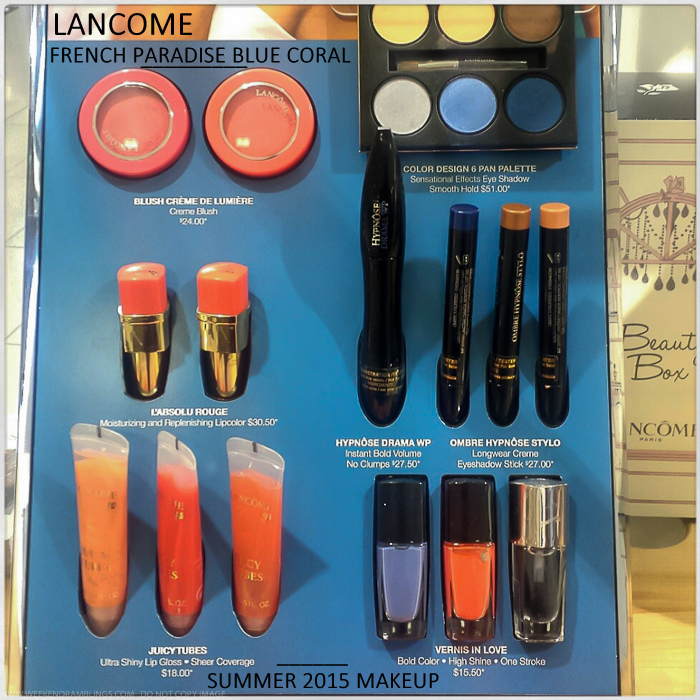 Lancome summer 2015 makeup collection is a definite winner with long-wearing pigmented colors, smooth textures, and bright pop of color, all pefect for an effortless summer makeup look. 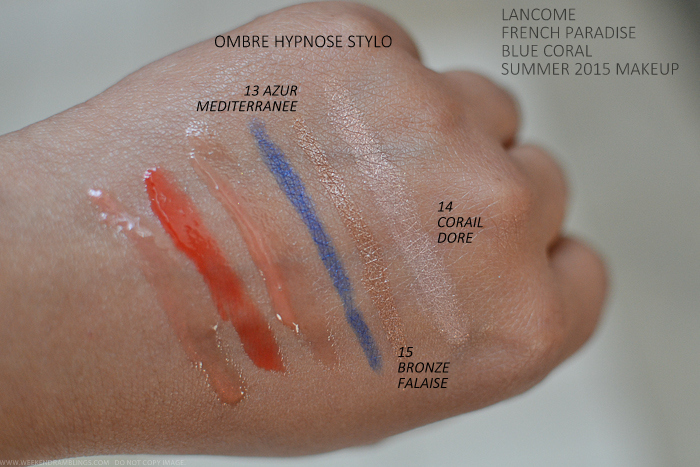 The Ombre Hypnose Stylos were quite difficult to get off the back of my hand, so I am inclined to believe the long-wearing claim. 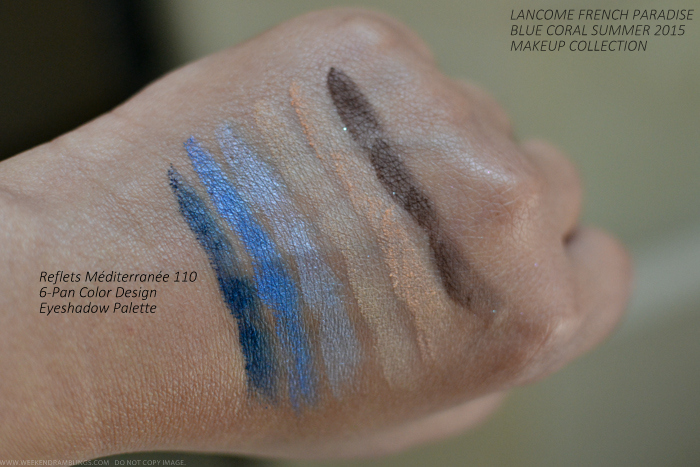 The eyeshadows in the Reflets Mediterranee palette felt quite smooth and pigmented, and because it has a good mix of neutrals and brights, it should work for a range of makeup looks. 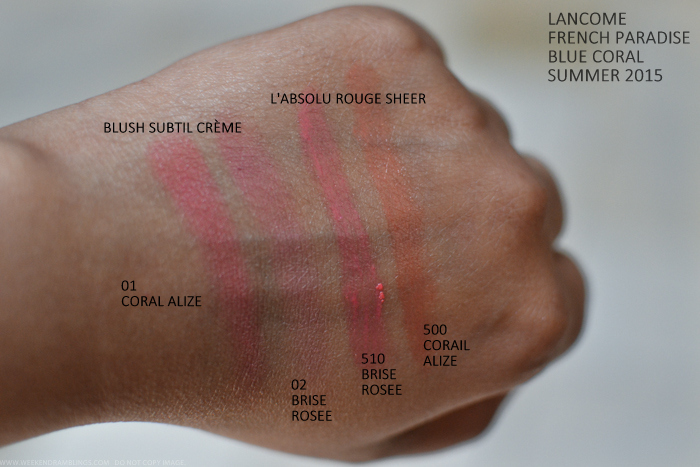 The Juicy Tubes and L'Absolu Rouge lipsticks would be my favorite. 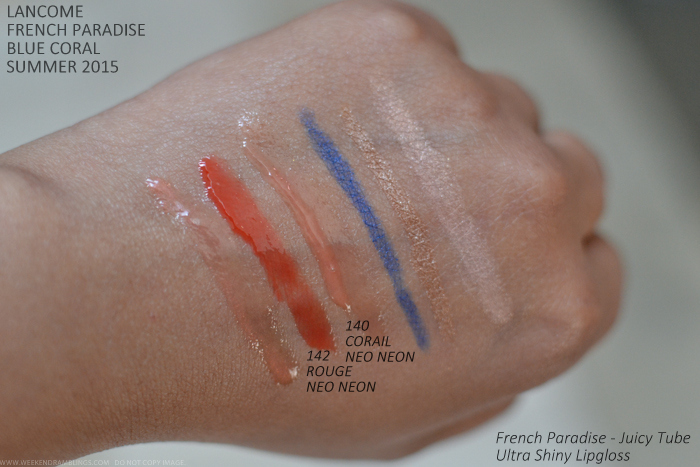 I know they aren't very unique colors, but the formula feels quite moisturizing, and I love the bright yet wearable (sheer) colors. As for the cream blushes - smooth and pigmented enough to show up on my skin - can't find fault with that!